Gaming, like gambling, can indeed become an addiction, causing a person to exhibit many of the same behavioral patterns. Excessive gaming and compulsory habits can disrupt a person’s life. A gaming addiction can certainly become a very serious matter. Gaming addiction is similar not only to gambling addiction, but other behavioral addictions as well. Think in terms of other addictions that involve screen time and a lack of involvement in the outside world and everyday life. It may seem like an addiction to games is a new concept, but think about how online gaming has taken the world by storm. With so many devices to choose from and the ability to stay connected at all times, more and more people are developing a gaming addiction. Our Centre is aware of this phenomenon and knows how to provide treatment. For many years, our center has been providing treatment to people suffering from various types of behavioral addictions. The staff at our centre is well-trained in working with individuals to overcome addiction. In some instances, people are suffering from more than just one form, meaning there is both a behavioral addiction and a substance abuse issue. For those with a gaming addiction, we provide outpatient counseling services or full residential care, whichever is necessary and preferred. We have nearly four decades of experience helping to treat people suffering from various addictions. Our abstinence rates are high, and we are here to help. If you would like to find out more, visit the page for treatment services to see how we can help you. Video Game Addiction – What are the Signs? Developers want video games to be addictive in nature. Remember that online gaming is about selling additional merchandise. Therefore, games are designed to get people to play longer and purchase these items. There is always new content being released in some form or fashion. Games are more challenging these days, and that complex design is purposeful and provides gamers the feeling the feeling that they are making a big accomplishment. Think for a moment in terms of gambling and how the house deals with its players. Those small wins keep them on the hook, don’t they? Games are developed with the same hooks, thereby encouraging a particular behavioral pattern. High scores and beating an entire game are classic hooks that are nothing new. These two hooks are only the beginning, and they can certainly keep a gamer’s attention for many hours. Consider these ultimate goals, and then there are other gaming ‘hooks’ that are in play, too. Games are more complex these days with character creation, and role playing is huge. Character immersion and role playing games can be fun, but the essence of the games can become addictive. Identifying wich characters, players become attached. This attachment to the fantasy world can lead to negligence of a person’s responsibilities in the real world. There is always something new to discover in the world of online gaming. As mentioned, new content is always being released, and there are always new accessories to purchase, offline and online. Not only that, but more intense gaming relationships are fostered via online gaming, as players band together. They are in communication with each other, and this continues to strengthen the gaming bond and identity with the online world. WOW or World of Warcraft is a game where communication between players is the norm. In a gaming environment like this, gamers sometimes find acceptance where they weren’t able to find it in the real world. This keeps them coming back for more. At this point, let’s be clear. Not every gamer is addicted and needs help. Responsible gaming is enjoyable, and that balance means that a person’s real world responsibilities aren’t neglected. On the flip side, it’s important to recognize both the physical and emotional consequences and symptoms of gaming addiction. Gaming addicts often suffer from fatigue based on not getting enough sleep. Those extended gaming sessions can really take their toll. Prolonged screen time can cause migraines, and carpal tunnel syndrome can develop as well. People addicted to gamings sometimes fall into the bad hygiene habits, too. Gaming addicts often feel restless when they aren’t engaged with a game, and they can also become irritable. Gamers can also appear preoccupied most of the time. They are pondering past gaming sessions and anticipating future gameplay. They might even lie in regards to how much time they spend gaming, and they also might isolate themselves from real world relationships. There have been studies conducted that revealed a correlation between both gaming addiction and depression. Both conditions must be treated simultaneously, and we can help in regards to this dual diagnosis. Depression symptoms are extremely serious, and without treatment, the gaming addiction is also likely to continue, even if stopped temporarily. Addicted gamers do not recognize that the video games may have become a reason for their depression symptoms. Their view of video games is that they provide an escape. 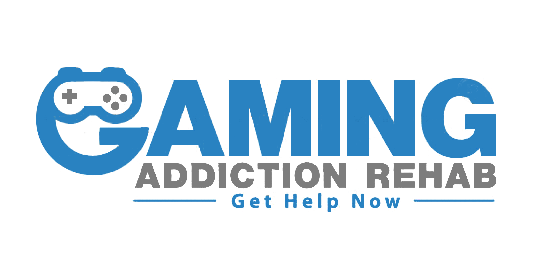 We are experienced in helping gaming addictions and people with other behavioral addictions. Our centre is a great place for you to get help. Give us a call if you are suffering from addiction or if you are concerned about a loved one. One of the biggest setbacks is that people in Ireland fail to make the call, instead choosing to wait. Recognizing dependency issues is the only way you’re going to realise that it’s time to seek help. It’s time to make a change, and we can help you work towards rehabilitation.